Welcome to the 2017-2018 school year at Sunnyside Environmental School! We are eagerly awaiting the arrival of your children, hoping that they, too, are feeling excitement and joy as the start of school quickly approaches. For grades 1-8, school begins on Wednesday, August 30 at 8:45 am. If you have an incoming Kindergarten student, you should have received a welcome letter with an assigned, introductory meeting time for the 30th, 31st or 1st. Kindergarten students officially start school on Tuesday, September 5 at 8:45 am. (Kindergarten teacher assignments will be published Friday afternoon, after the introductory meetings are complete). 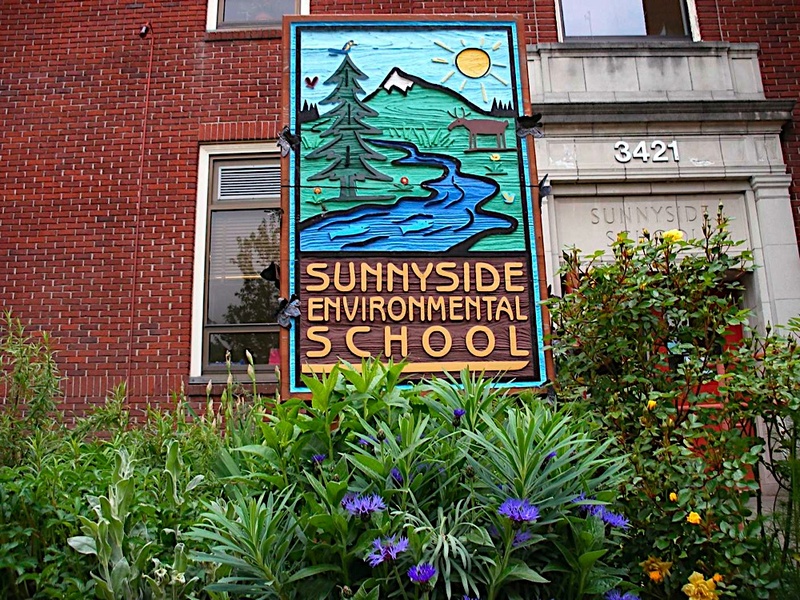 At Sunnyside, as many of you know, “environmental education” means place-based, socio-ecological education. Essentially this means that our curriculum connects humanitarian education (striving to protect dignity and reduce suffering) with the surrounding environment and global community. Environmental education at SES is the ethical exploration of socio-ecological places. We co-construct meaning with our students through culturally responsive pedagogy/ practices and perspective-seeking. In the context of the current state of the global community, our vision for “environmental education” has become even more clear: Our school centers around teachers and students re-inhabiting their places and transforming the local area through social action that improves the social and ecological life for diverse communities. While acknowledging the importance of common core content and skills, we also believe that the study of places can help increase student engagement and understanding through multidisciplinary, experiential and inter-generational learning that is not only relevant but also integral to the well-being of community. We are thrilled to be back in school, thrilled to experience solidarity through being in community with you and your children. Lastly, we’ve attached a recent article from Oregon Humanities Magazine that highlights our 3rd grade musicalâ€”the new version showcased last year for the first time. This is a perfect example of what we strive for through teaching and learning at Sunnyside…students, families, staff and community partners working together on behalf of the children.